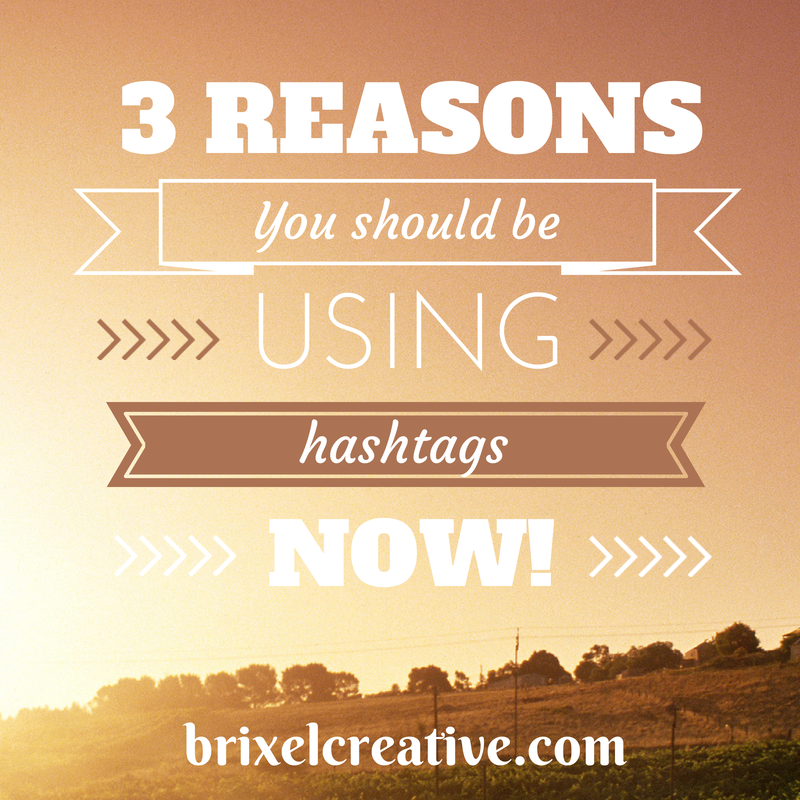 Why You Should Be Using Hashtags NOW! Unless you live under a rock, you’ve either only heard about hashtags or you use them on a daily basis. For those that do live under a rock, basically hashtags are an easy way to turn any word or phrase (with no spaces) into a searchable keyword link by adding the # sign to the beginning (i.e. #graphicdesign or #socialmediamarketing). In a way, hashtags allow you to create communities of people interested in the same topic by making it easier for them to find and share info related to it. It’s a really handy skill to learn and as social media becomes the primary way we communicate, it’s becoming very popular in marketing. Did You Know: The hashtag was created by Chris Messina in August, 2007. Incorporating hashtags into your social media posts allow for quick searching and categorizing. Aside from Twitter, a few other social media platforms – Google+, Instagram, Pinterest and most recently Facebook – have also seen the benefit of using hashtags and have started to implement the hashtag feature as well. So how does this help improve your social media presence? 1. Organization – Using hashtags in your tweets or posts allows other users to see all the posts about this particular topic. Once you start using hashtags, you will begin to notice that tweets tagged with the same hashtag will all (or mostly) discuss the same topic. 2. Target your Audience – This might be the biggest benefit to using hashtags. Let’s say you are a freelance graphic designer (like me! ), you might want to tag some of your tweets that contain tips for fellow graphic designers with the hashtag #graphicdesigntip. This will show your followers that you’re writing for or interested in a specific topic and it will help them sort through the tweets that are relevant to them. 3. Grow your audience – Okay this is another huge benefit! Although a larger audience isn’t directly associated with using hashtags, it puts your tweets in front of people who might be interested in the same topics, and therefore would lead to a larger audience. The more targeted and accurate your hashtag use, the more targeted followers you’re likely to attract. There really is no reason you shouldn’t be using hashtags, especially in your business marketing. If it comes down to knowing when and how to use them effectively, don’t let a little hashtag scare you! My suggestion: start using hashtags today! Join in on the conversation and share this blog article with the hashtag #mainedesigner now! ← Children don’t need money…they need TIME!